We tested every fastpitch, softball and baseball bat from 2014 through 2018. To find the best bat for base hits we looked for a light swinging stick with a good sized barrel. Durability, value and exit speeds were also considered. We read numerous reviews on a number of different vendor sites. 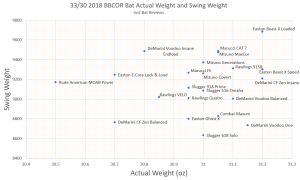 We think the best bat for base hits is the 2018 Rawlings VELO for BBCOR and USSSA, the 618 Solo for USA Bats, the Miken DC-41 for slowpitch and the 2017 LXT Hyper in fastpitch. In BBCOR and USSSA the Rawlings Velo is a fantastic bat. It’s an ultra light swing with a good sized barrel. Players love the sound in perofrmance. Do note, however, we don’t like this bat too much in the USA 2018 version. We are not sure where that one went wrong but it lacks the top end feel we get out of the BBCOR and USSSA 2018 VELOs. Price check: Amazon.com. See our full review: 2018 Rawlings VELO. Home runs are the base hits, we should note. But when people ask for the best bat that produces base hits they often just mean bats that are meant for the player who does not hit home run. With that in mind, bats for base hits tend to have a lighter swing weight without losing the barrel size. Our data here takes into account the swing of every bat (which we measure here). We measure bat barrel sizes here too. Those two things combined, as well as direct player feedback, help determine the best bats for base hits. The 618 SOLO is our best 13 year old BBCOR bat because it comes in a very short size. It is one of three performance baseball bats to come in a 29/26. This bat swings ultra light and perfect for the young hitter who needs as much weight correction as possible. Price check: Amazon.com. Our Full Review: 2018 618 SOLO USA Review. What does Bat Balance Mean? A balanced bat refers to a bat with a lighter swing weight. A swing weight measures the amount of force required to swing a bat. So, a bat with a lower swing weight, when compared to other bats of the same class, is considered balanced. We measure the swing weight of baseball BBCOR bats here. The bats lower on the scale on that article mean they swing lighter. Even well into the 2018 season, we really like the 2017 Slugger LXT Hyper. 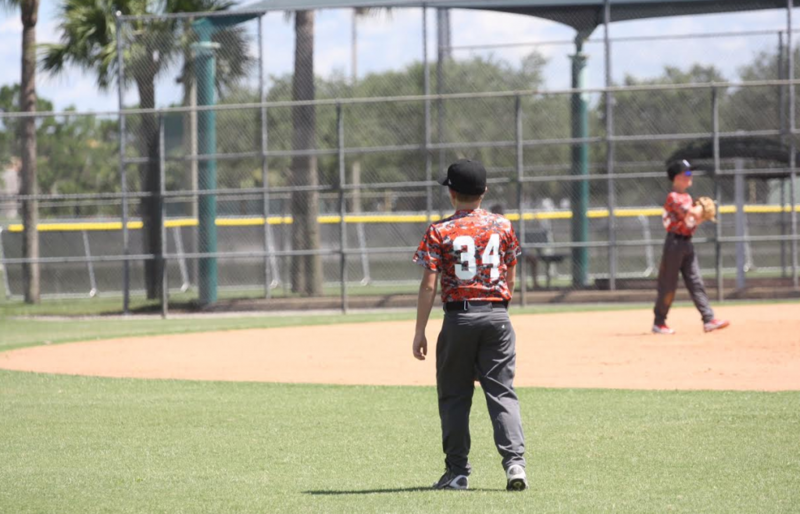 Smaller players looking for base hits should pick up the drop 11 while bigger ones the drop 10. This bat also sits atop our best fastpitch bats. Players love the balanced feel, great feel on contact and performance across the length of the barrel. We love it for all those reasons, too. Price check: Amazon.com. Our Full Review: 2018 Slugger LXT Hyper Review.